"It was a huge surprise and an amazing honour to be awarded TES ‘Headteacher of the Year’. Standing on the stage and receiving such a prestigious award from Sir David Carter was one of the proudest moments of my life and one which I will never forget. The role of a Headteacher can be immensely challenging and complex, often requiring nerves of steel - but it has also got to be one of the most rewarding, exciting and stimulating jobs on the planet. Receiving this award is not only recognition of the hard work and dedication that I give to my school every day, it is also a very public and very well deserved ‘shout out’ to my amazing staff, inspirational pupils and fantastic parents all of whom work together to make Ormiston South Parade Academy such an awesome place to learn and grow. The whole community has shared my excitement and we are thrilled that Grimsby has been put on the map with such a prestigious award. Thank you so much TES!" "Words simply cannot describe how thrilled and immensely honoured we are to receive the award for ‘English Team/Teacher of the Year’ at the 2018 TES awards. We came away buzzing with excitement over our win but also enthused by the sheer volume of inspiring practitioners we also managed to meet! The award represents our journey here at Wyndham and our mission to stimulate awe, wonder and enriching experiences within English that infiltrate across the whole curriculum in order to develop a love of learning and aspirational individuals. To be recognised for this will forever be one of our proudest moments. It is the accumulation of hard work from the English team as well as all staff throughout the school, parents, the local community, Spencer Academies Trust and, most of all, our amazing pupils. This award is dedicated to them and we have used it to show them that relentless effort, team work and dedication are the qualities which you need in life to achieve anything you set your mind to. Thank you TES- we can’t wait to see where the award will take us, and our pupils, on the next step of our GREAT journey." "Winning the Tes Award for New Teacher of the year has been incredible!! I was taken back to be nominated by both my placement school Future Tech , my new school Penketh High , Liverpool John Moores University and the Liverpool Central Library. All of which I have worked closely with in the implementation and development of Maker Education in the last year's. To have been working at such a innovative project for my entire early teaching career as setting up the first makerspace in a school in the UK, can at times feel daunting! However there is so few Maker Education Specialist's I felt I should contribute. When the amazing judging panel shortlisted me I felt validated in the work I have been doing tirelessly. It was so important to me, and to have such experience educators telling me it was good enough to be shortlisted! I was extastic! On those days I will look at my award! I'm fortunate my students are amazing and often are complimentary. However there is nothing like praise for hard work from other teachers and educators. It's made giving me a new determination that classroom teachers can work hard and be innovative, and that will be recognised. I couldn't say thank you enough for that, it's really made such a difference to me!" 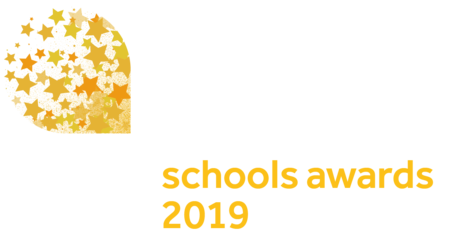 "As Principal of Seaview Primary School and Nursery Unit I know I speak on behalf of the school community in saying how absolutely thrilled we are to be recognised in the Tes schools awards. The process enabled us to reflect on our journey with the use of technology and to identify the true impact that it can have on the daily learning of our children. Everyone from our cleaning staff to our Governors are delighted that the hard work of all staff has been noted by receiving this award. The award reflects the hard work of the teaching staff to be creative in financially challenging circumstances to ensure our pupils are prepared for the digital life of tomorrow We had no expectation of winning a TESSA because of the other wonderful schools nominated in our category but we are over the moon that we have achieved such an accolade." 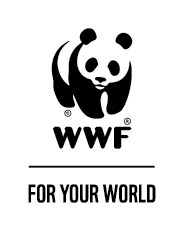 "The impact of this award has been overwhelmingly positive. To be recognised nationally as school of the year has been a privilege, and such a proud moment for the whole community. It recognises and validates all of the effort our staff put in every single day, working with some of the most vulnerable pupils in the borough. The whole community works together in a very challenging context to secure excellent outcomes. One of the many highlights has been a visit to the school from Education Secretary Justine Greening. It was encouraging that she took the time to listen to teachers and speak to our pupils. She was able to see first-hand how the school has transformed from the bottom 10% to the top 1% in the country and the impact of this on the lives of our children and families. At Broadford Primary it is our vision is to ensure that no child’s future is limited by their background. This experience has enabled us to be able to share with other professionals the different strategies that we have used to raise aspirations and outcomes for our pupils and has been a once in a career opportunity."